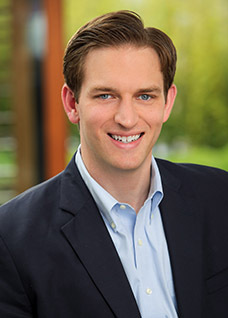 BOSTON—Matt Segneri, Director of Harvard Business School’s Social Enterprise Initiative (SEI), is a 2016 honoree on both the Boston Business Journal's 40 Under 40 list and the Boston Chamber of Commerce’ s list of ten outstanding young leaders. Established in 1993, Harvard Business School’s Social Enterprise Initiative applies innovative business practices and managerial disciplines to drive sustained, high-impact social change. Grounded in the mission of Harvard Business School, it aims to educate, inspire, and support leaders across all sectors to tackle society’s toughest challenges and make a difference in the world. Courses that focus on social enterprise are embedded into the School’s MBA curriculum and Executive Education program offerings. Beyond the classroom, HBS offers career development programs designed to support students and alumni who are engaged professionally in the social sector. Opportunities for involvement in social enterprise at HBS include elective courses and field-based learning experiences; internships and career development programs; and student clubs and organizations. Before heading the HBS Social Enterprise Initiative, Segneri was a senior leader on the Government Innovation team at Bloomberg Philanthropies in New York City, where he developed and led initiatives at the foundation. He had previously been an advisor to the former Mayor of Boston, the late Thomas M. Menino. In this role, he led policy development and implementation initiatives and provided management counsel to the mayor and his cabinet officers. Segneri earned his MBA from HBS in 2010, during which he was co-president of the Social Enterprise Club, one of the School’s largest and most active student organizations. In addition, he was a team leader for the New Orleans Service and Leadership Immersion Program, which brought HBS students to New Orleans to work on various projects after the destruction caused by Hurricane Katrina. He was also awarded a Social Enterprise Summer Fellowship, which enabled him to work as an intern at the headquarters of the Federal Bureau of Investigation in Washington, D.C., working with other interns from MBA programs around the country to help the FBI address some of its most complex management challenges, including the design of a new and improved promotion process for Special Agents. He is an honors graduate of Harvard College, where he majored in psychology and studied economics and government. Each year, the Boston Business Journal recognizes 40 accomplished leaders under the age of 40 who make a significant impact on Massachusetts as a result of their professional and community contributions. This year's Boston Business Journal 40 Under 40 recipients represent a wide variety of backgrounds in the for-profit, nonprofit, and government sectors. According to the newspaper, they are the epitome of achievement--each already making a significant, positive impact on Massachusetts as a result of their professional and community contributions. The 40 recipients were narrowed down from over 300 nominations and will be honored at a ceremony in late October. The Greater Boston Chamber of Commerce’s Ten Outstanding Young Leaders awards were originally presented by the Boston Jaycees, the city's Junior Chamber of Commerce, from 1952 to 2006 to identify and celebrate the region’s young leaders. Since its inception, more than 500 young leaders from the Greater Boston community have been honored for their professional, personal, and civic commitment to improving the quality of life within the Boston community. The award was revived in 2012 by the Boston Chamber of Commerce.